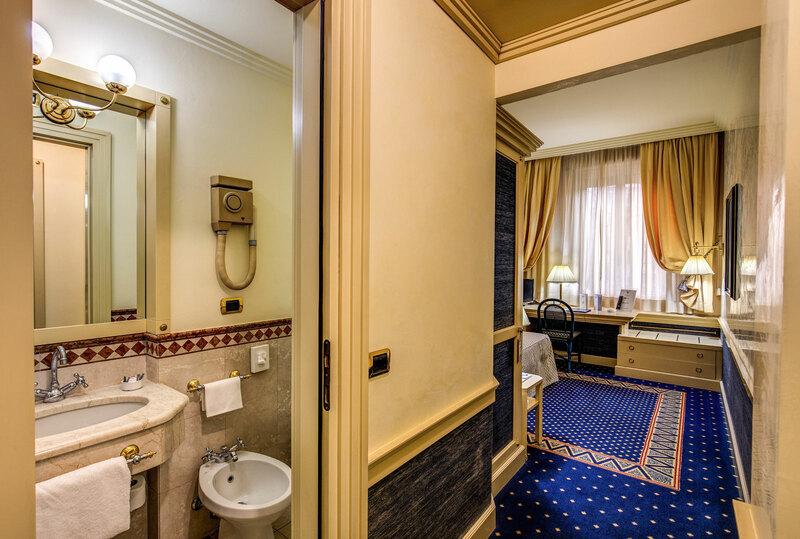 Each one of our 52 guest rooms here at the Milan 4 star Hotel Auriga has a modern bathroom fitted with fine quality marble. Room service operates from 7.00 am till midnight and we have a host of other services on offer down in the lobby - see our Services page for more details. All but single rooms have both a shower or a bathtub, while the singles, which are ideal for long or short term business stays, just have showers. 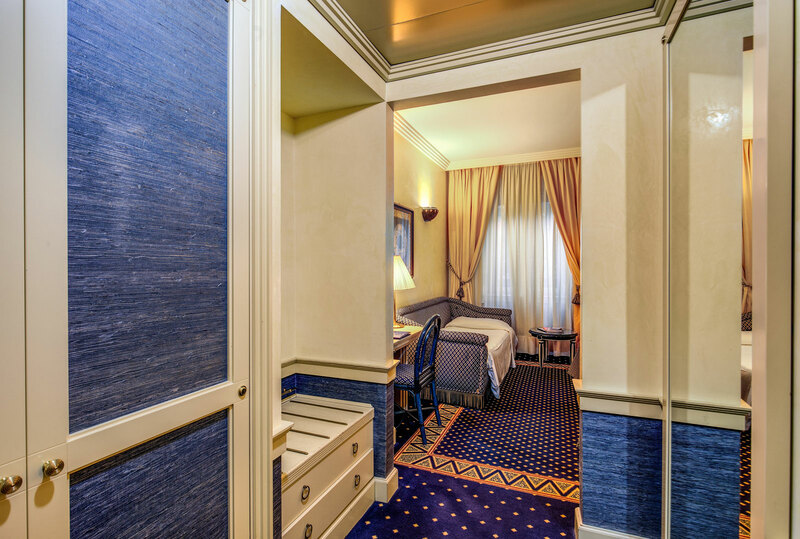 To view our luxurious guest rooms and other areas of the 4 star city centre Hotel Auriga Milan, visit our newly created Video Tour or interactive Virtual Tour.  All rooms are well illuminated, air conditioned and come with TV, radio, alarm clock, outside telephone line and of course, a well stocked mini-bar. For details of prices and special offers visit the Hotel Auriga Bookings page, where our secure and easy-to-use system will show you all you need to know about availability up to a year in advance. 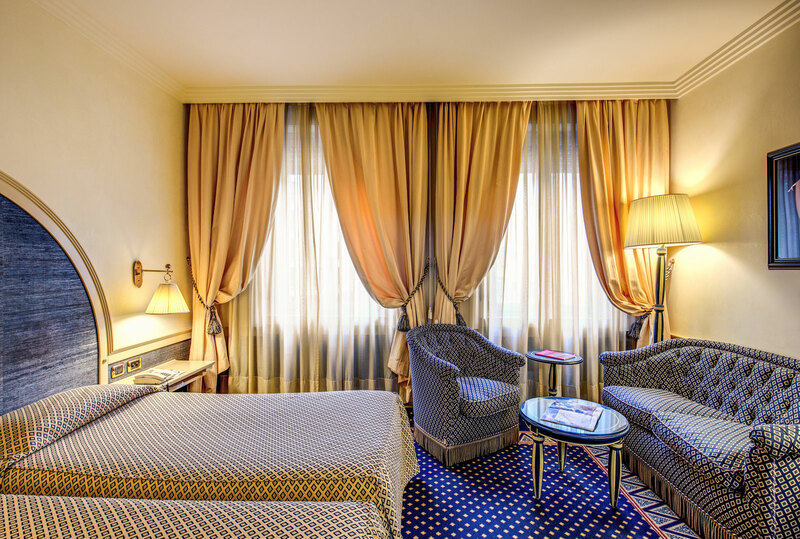 The Hotel Auriga Milan has a modest 52 spacious and opulent rooms at your disposal, each well appointed with the finest facilities, fixtures, fittings and decor for a truly luxurious stay in comfort and security. 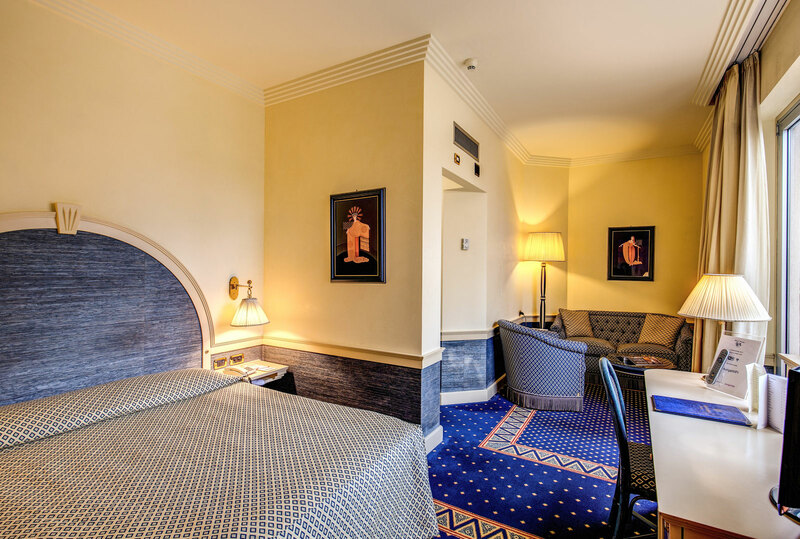 Rooms are designed in a modern yet classical style, encompassing the finest elements of Italian design both past and present.